August 4, 2017 – Stage 5 was a hot one! 115 miles from Layton to Bountiful. 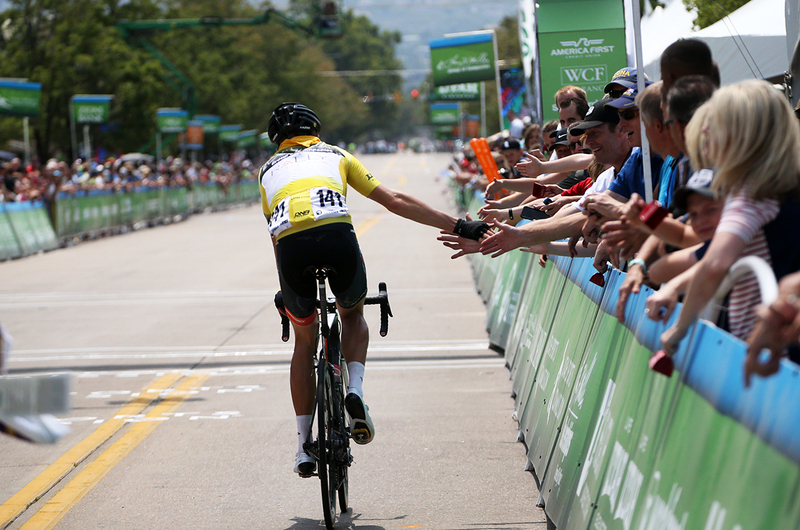 The stage was won in a sprint by Travis McCabe after a long breakaway featuring local team Hangar 15 Pro Cycling. Cathy Fegan-Kim, cottonsoxphotography.net, was on hand to capture the action. Check out another set of great photos from her.